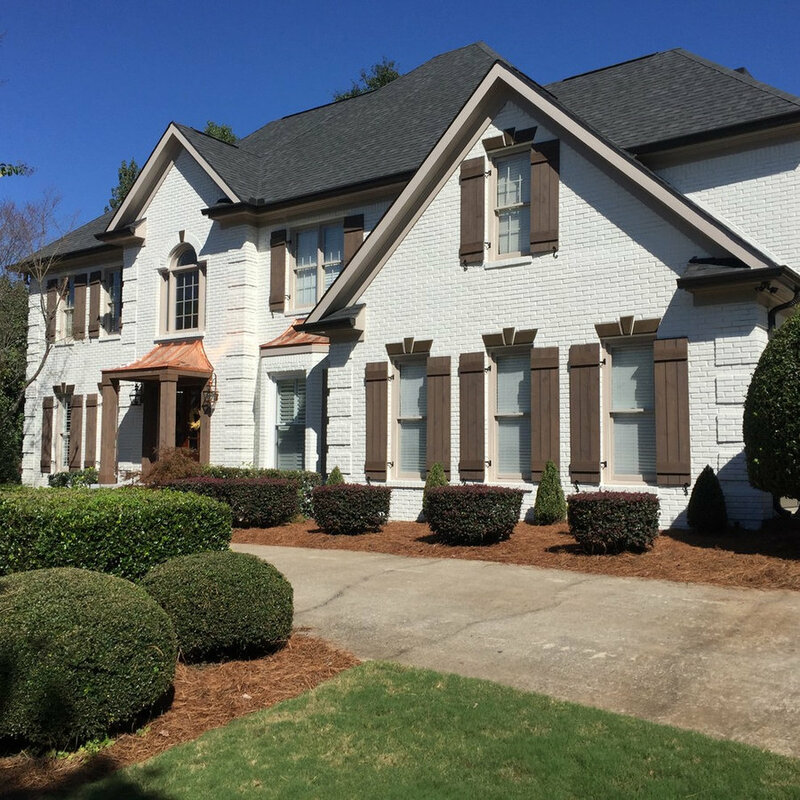 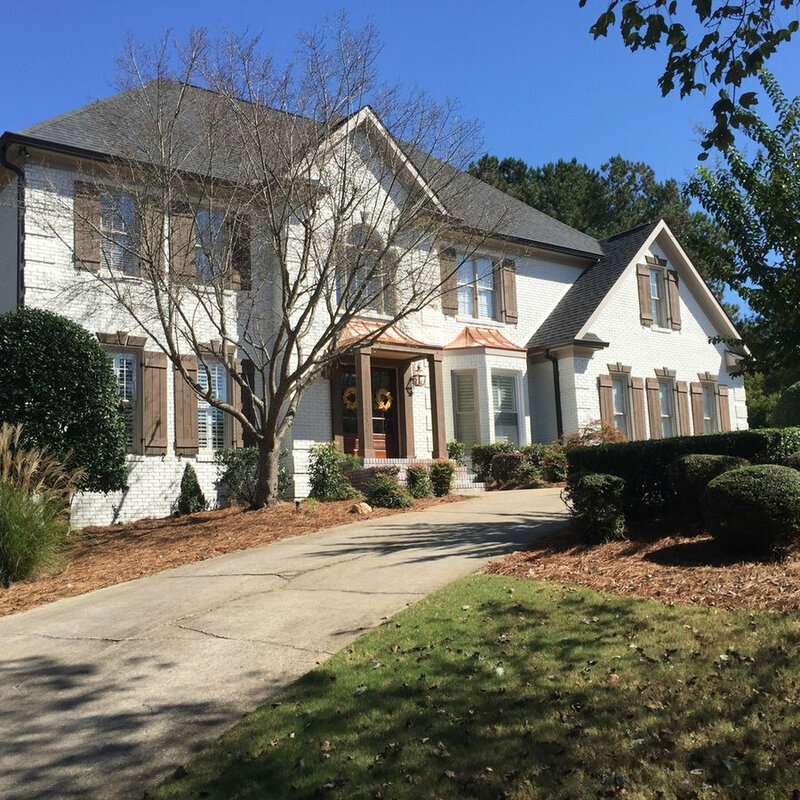 Greg Love Homes completed an exterior facelift on this traditional red brick home in Whitewater Country Club. 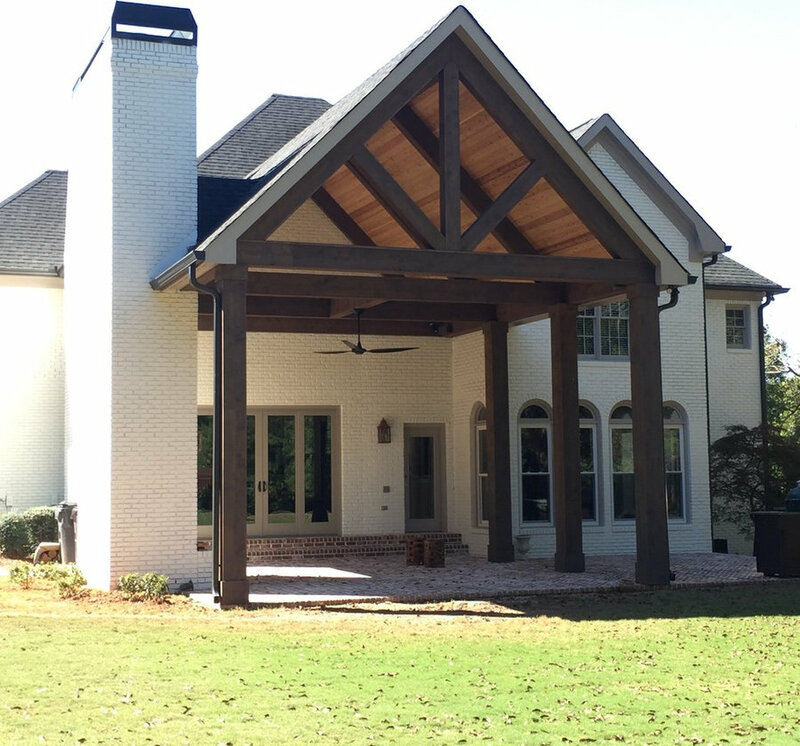 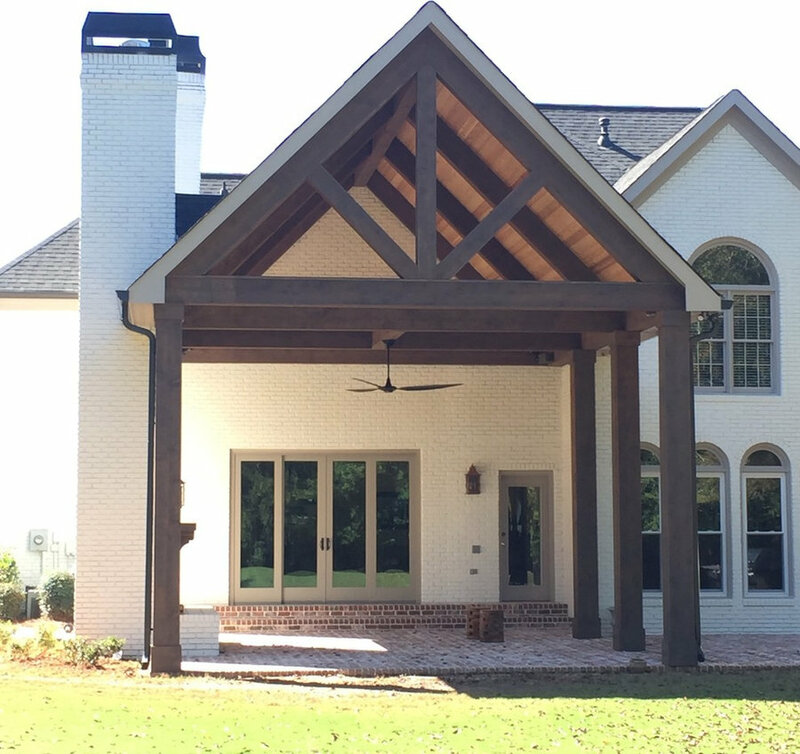 The improvements included the addition of a porches and a garage overhang to make the most of out door space while adding depth to the facade. 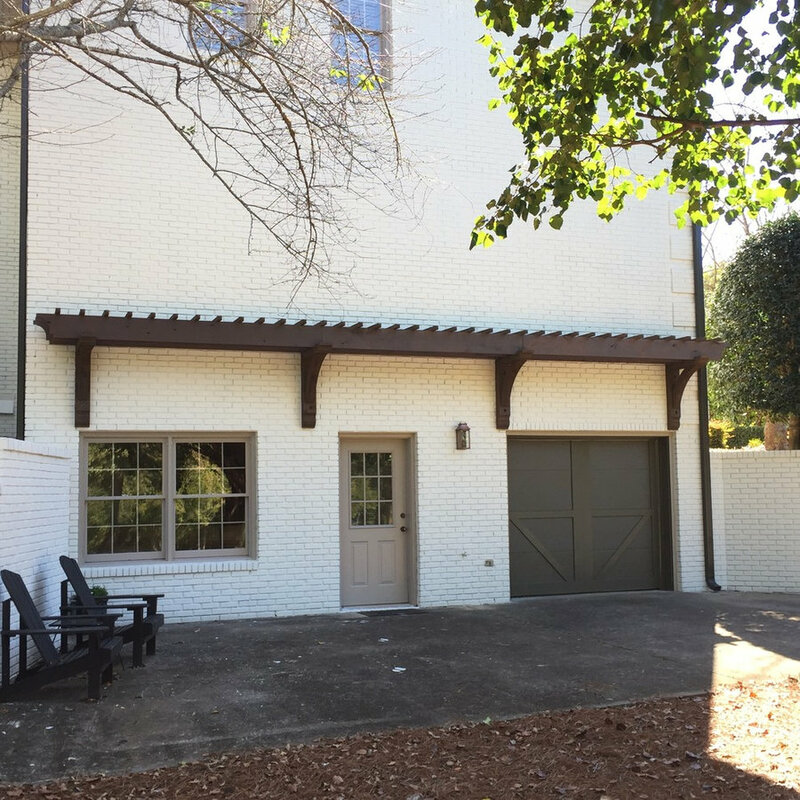 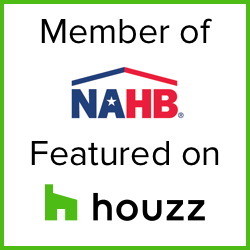 The entire home was given a fresh coat of paint and details such as the shutters and metal roofing were updated. 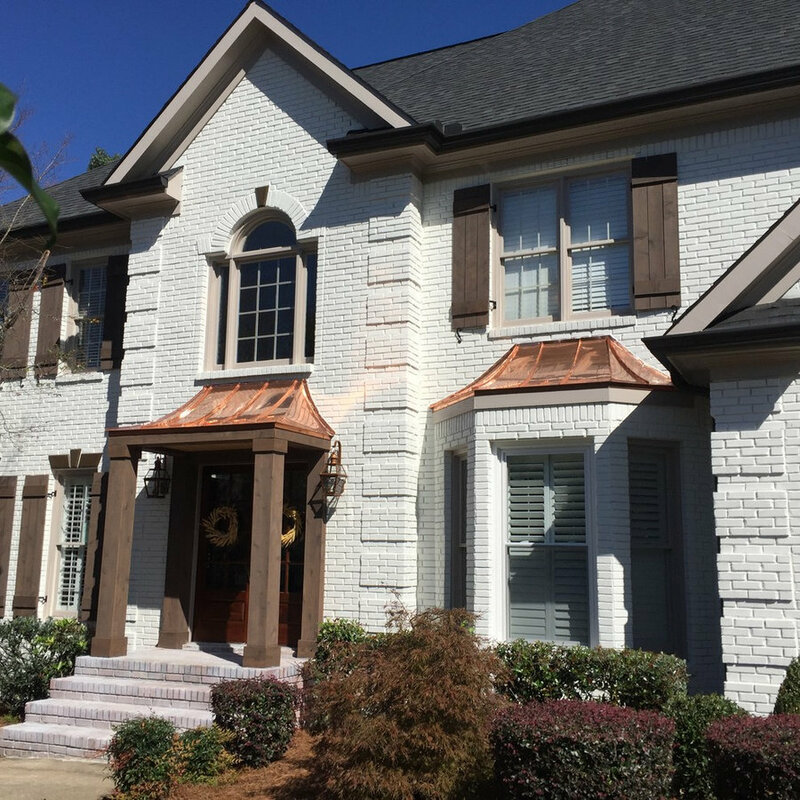 Greg Love Homes completed an exterior facelift on this traditional brick home. 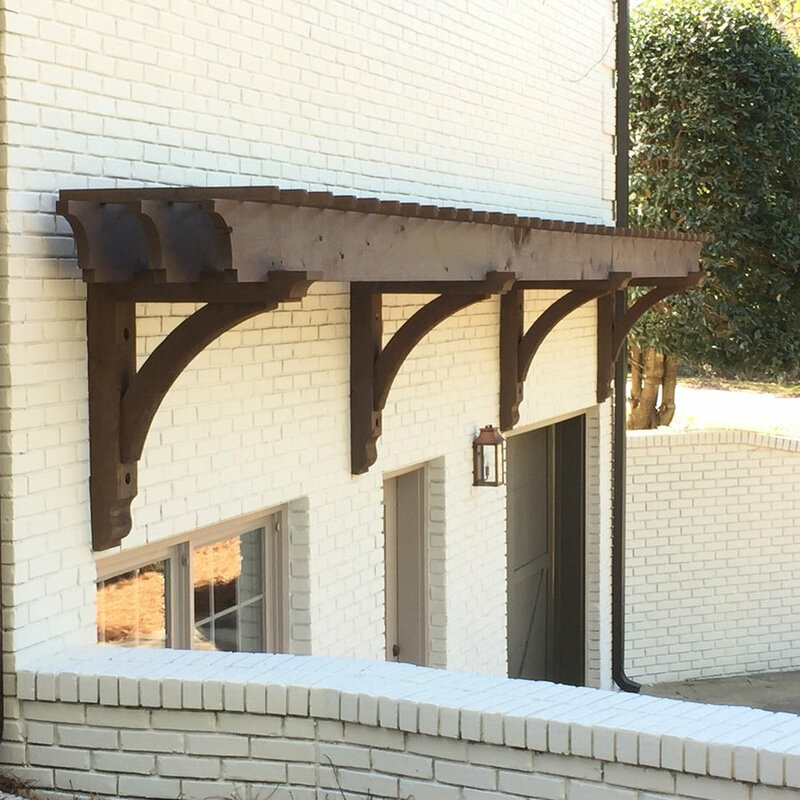 The red brick was given a fresh coat of white paint. 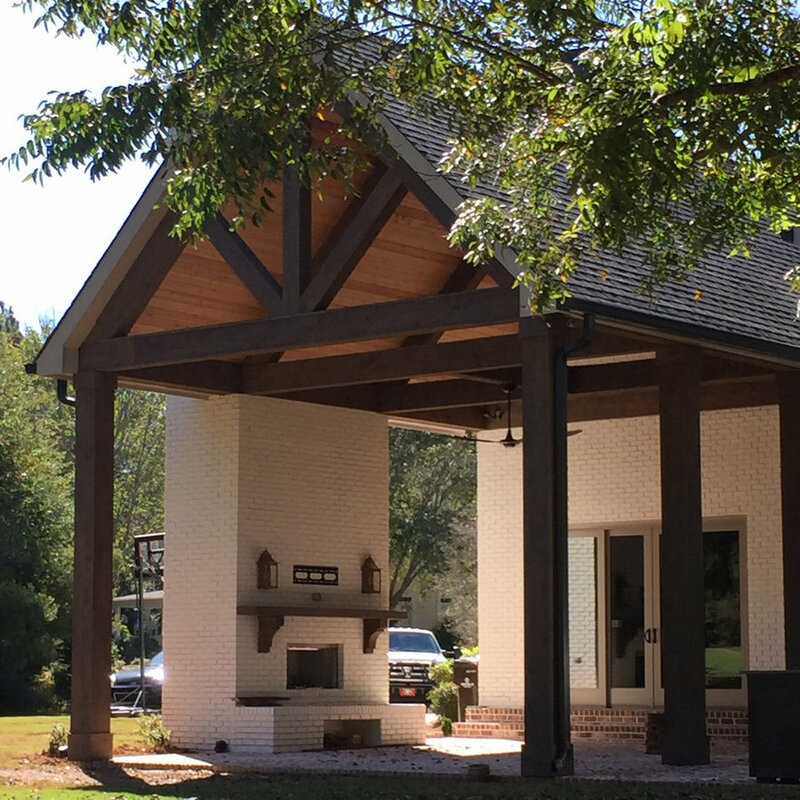 A small cover was added to the front porch to create depth.